Jarrod Dyson hit a pinch-hit, walk-off homer to give the Diamondbacks a 5-4 win over the Rangers on Tuesday night. Impressively the homer came off Rangers close Jose Leclerc. 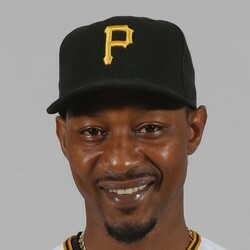 Dyson now has two long balls on the season and has his average up to .350 to go along with one steal. He's a deep league option for anyone in need of stolen bases.